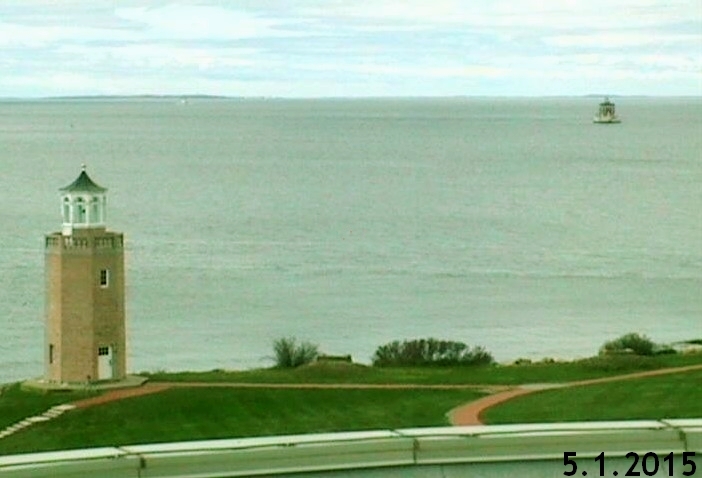 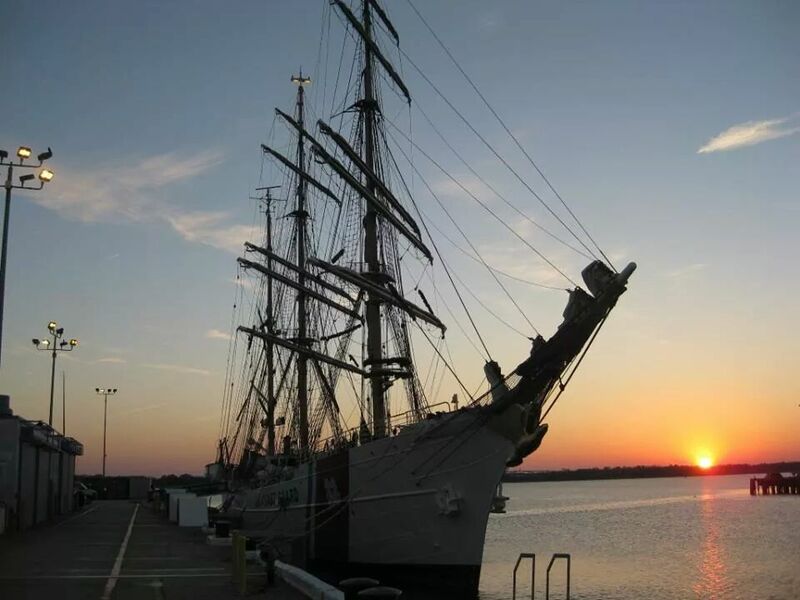 The Eagle under sail and on her way to Mexico. 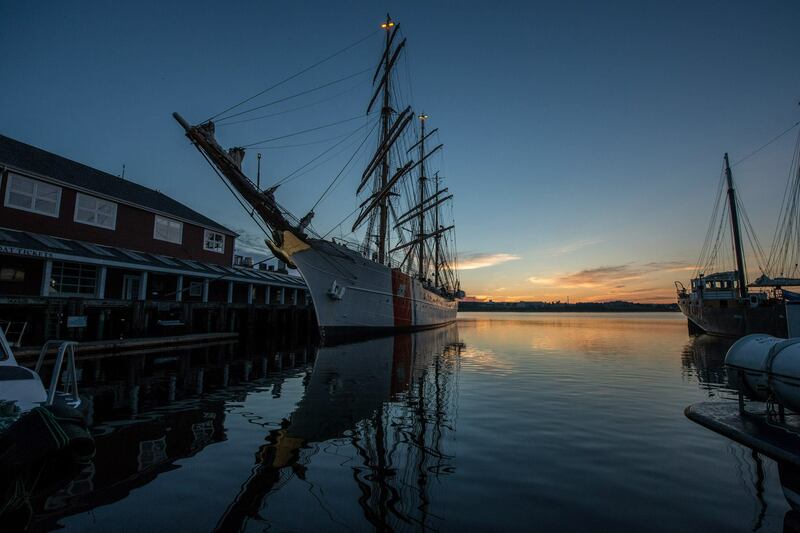 The Coast Guard Cutter Eagle moored in Halifax, Nova Scotia, July 22, 2013. 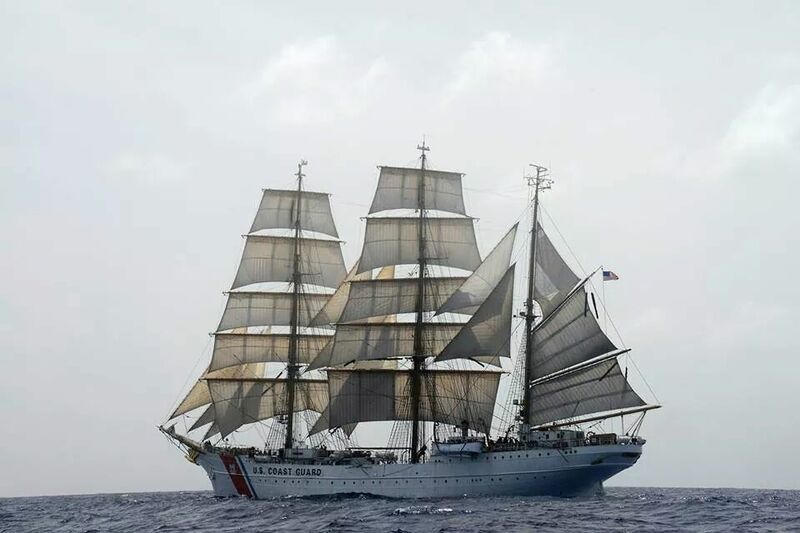 U.S. Coast Guard photo by Petty Officer 2nd Class Walter Shinn. 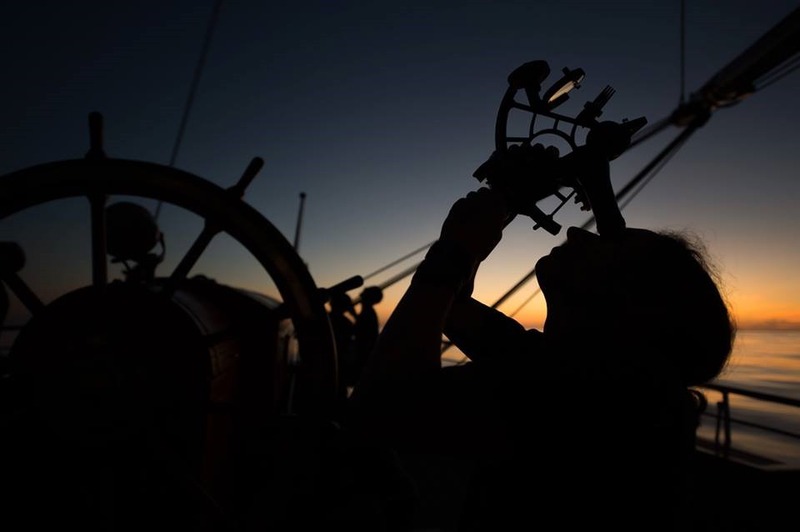 A cadet swings her sextant and brings a star down to the horizon during evening twilight.